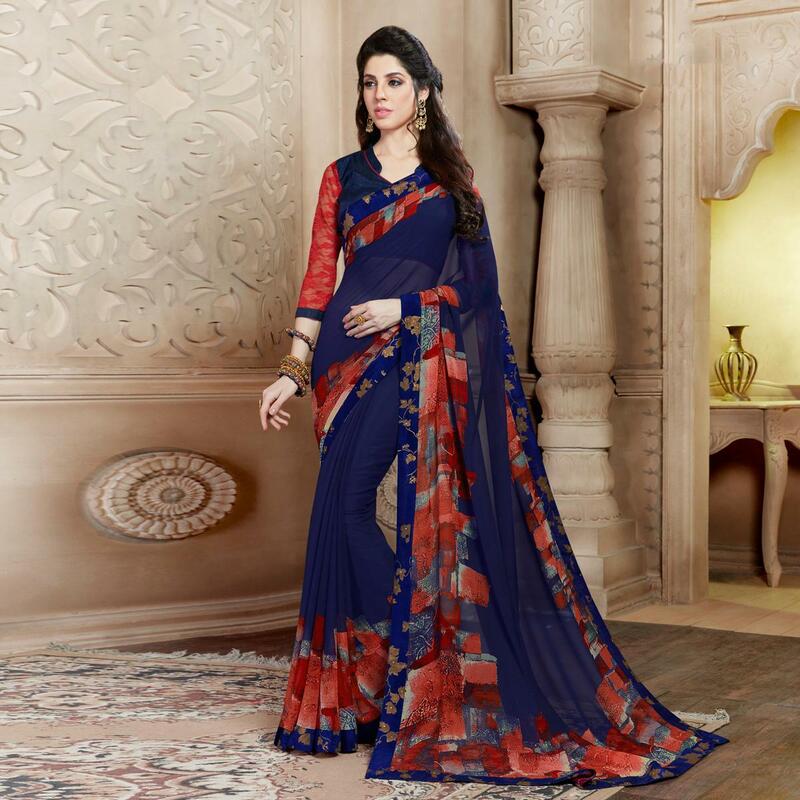 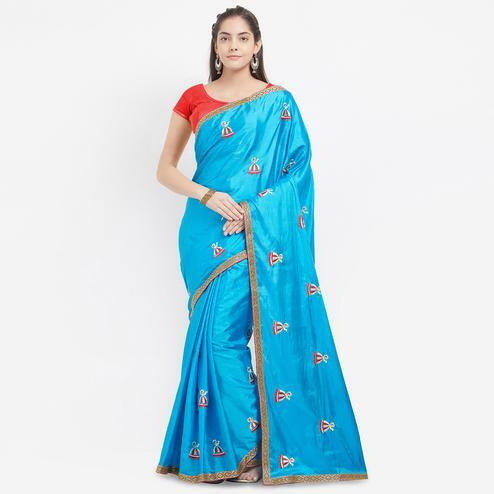 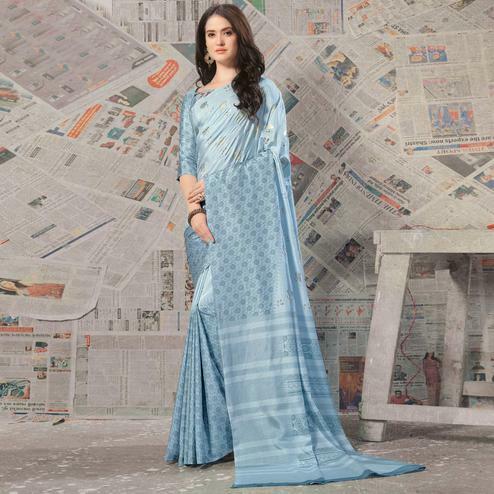 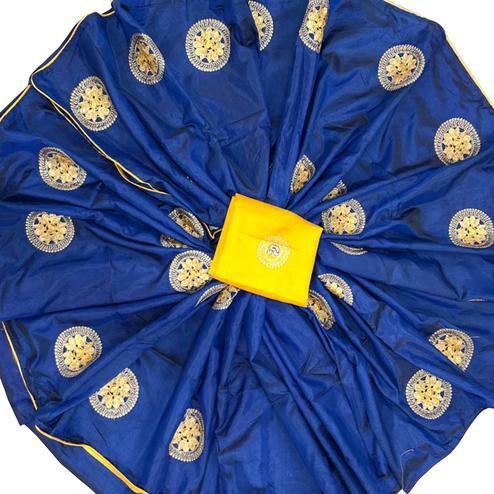 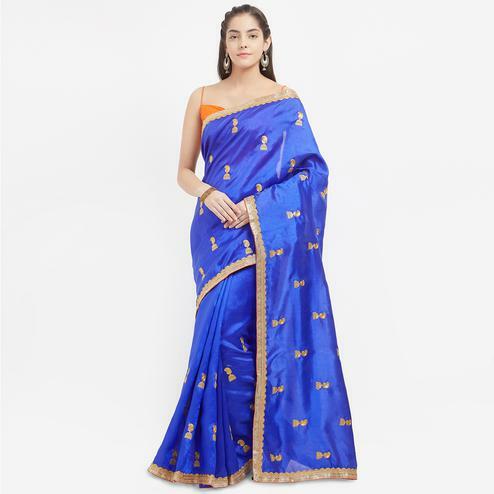 Featuring blue georette fabric saree highlighted with print work done in the form of geometrical design. 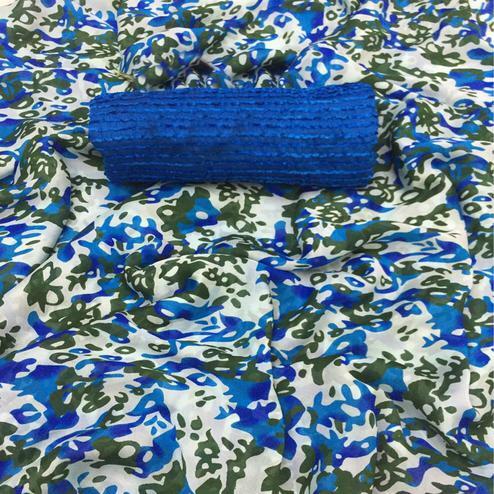 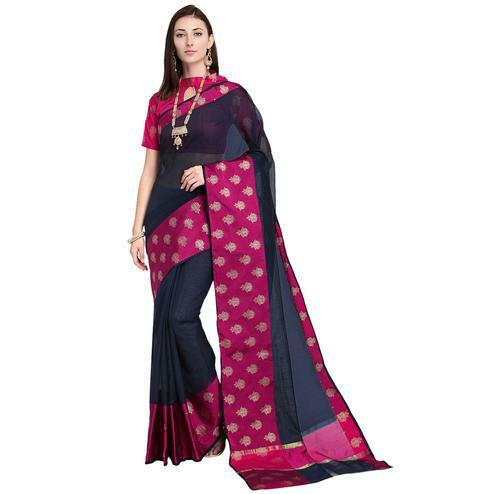 Paired with matching fabric blouse piece in unstitched form. 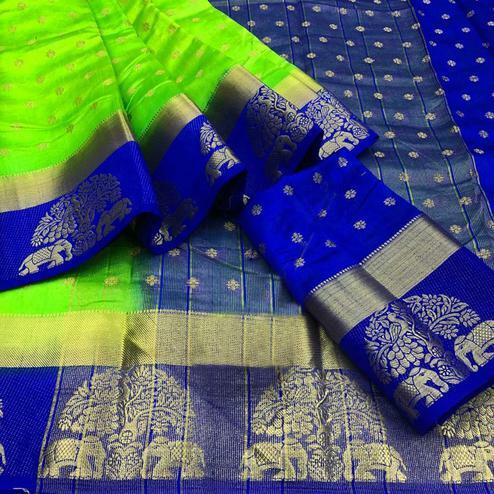 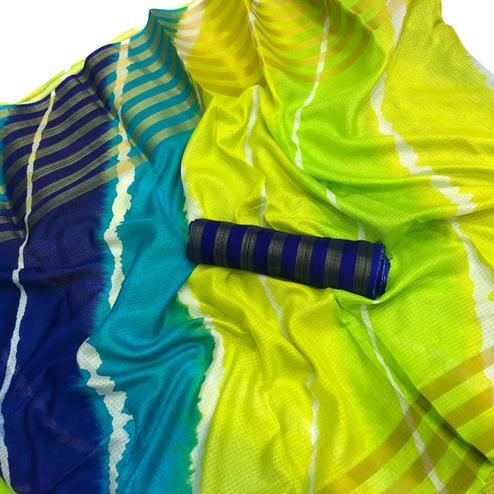 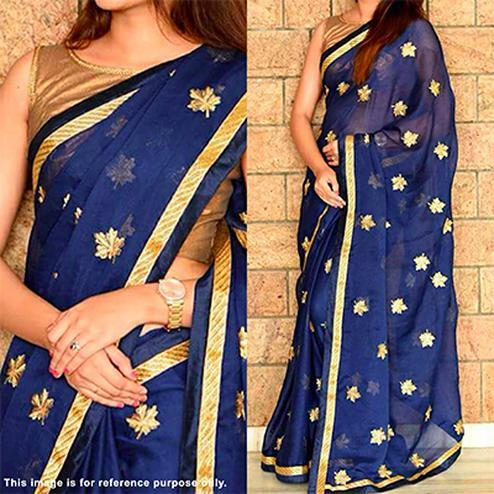 Ladies can wear this saree for casual outing and regular social meets.